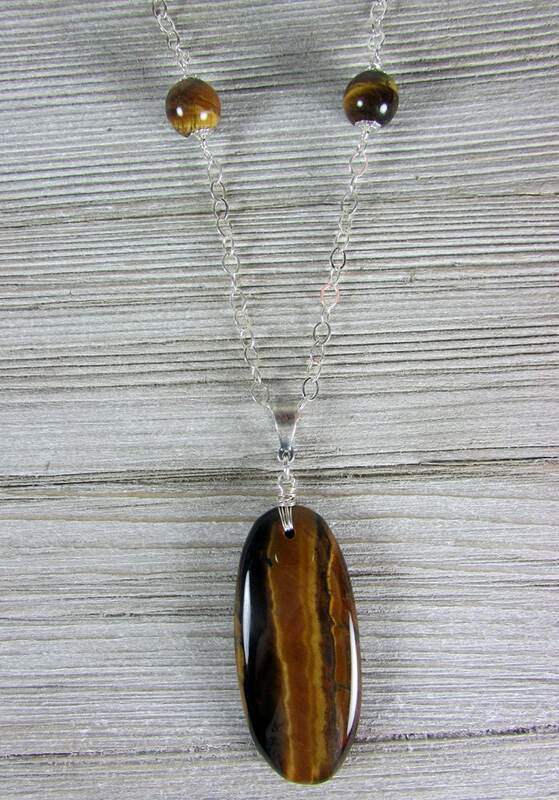 A stunning Tiger Eye pendant with sterling silver chain and tiger eye bead accents. 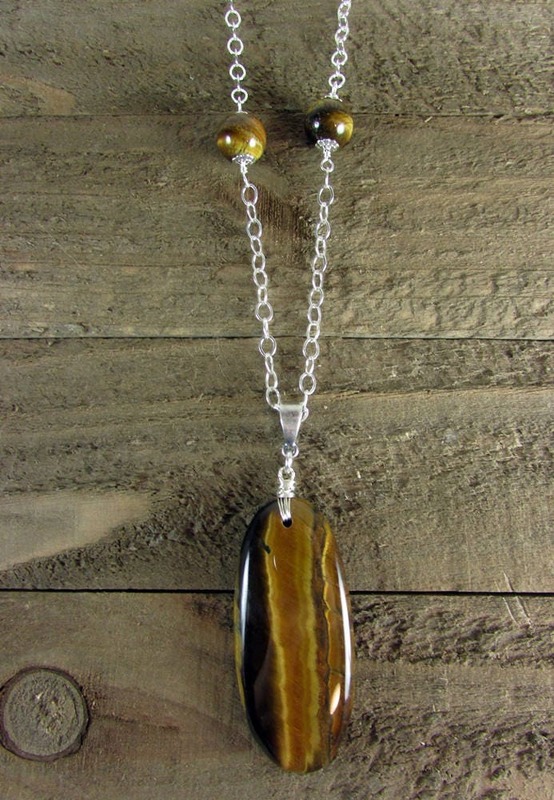 Finished with .925 sterling lobster clasp. 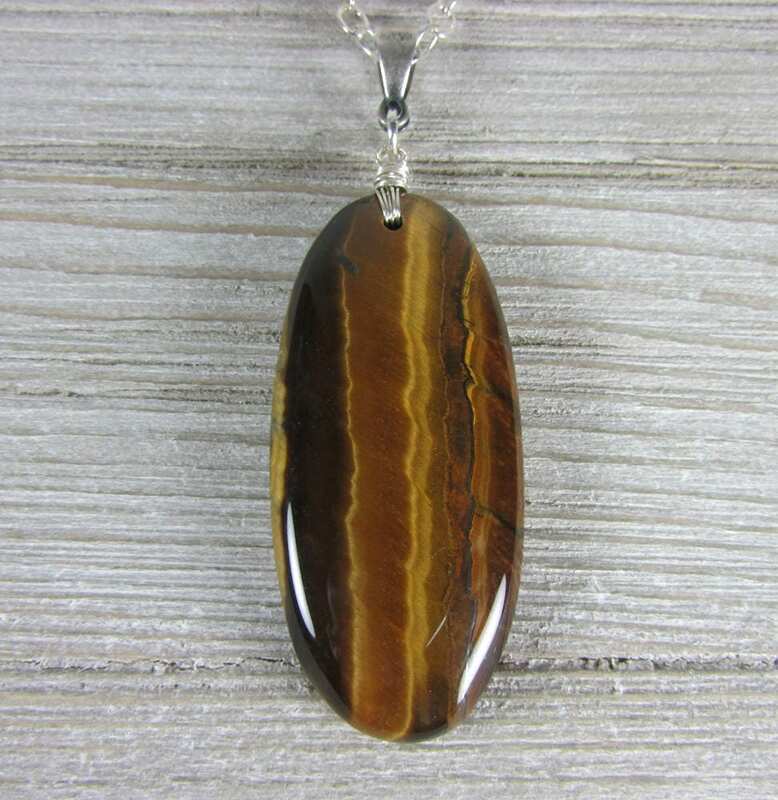 Tiger’s Eye, or Tiger Eye, is a variety of macrocrystalline Quartz known for its remarkable chatoyancy and rich layers of gold and brown color. 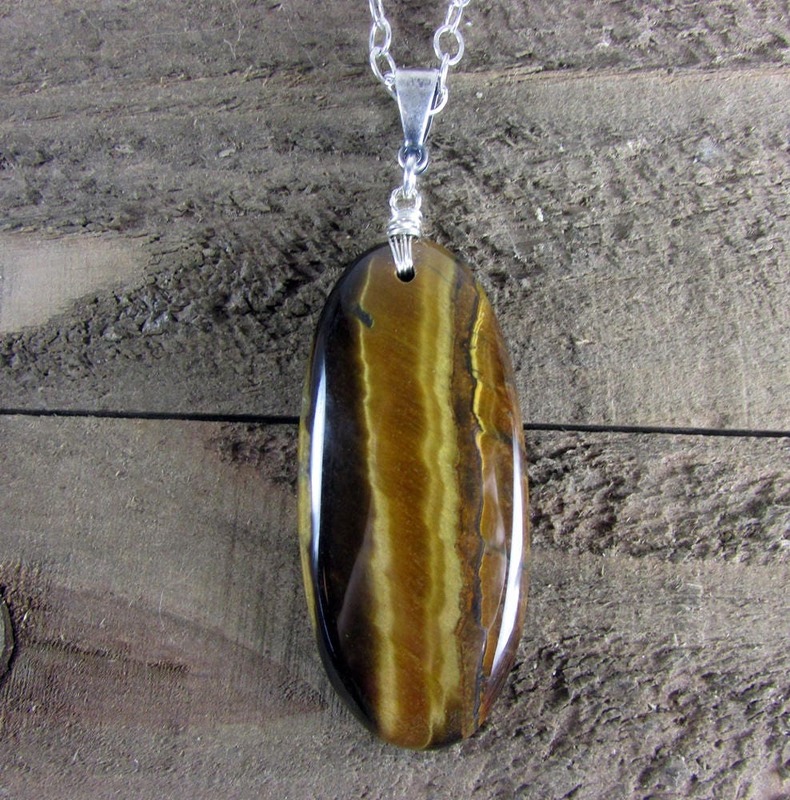 It is thought to be a pseudomorph of Quartz, formed as layers of Crocidolite.